The P value or calculated probability is the estimated probability of rejecting the null hypothesis (H0) of a study question when that hypothesis is true. When P-values start being less than 0.05 chances that the null hypothesis will not hold becomes extremely high hence Unlikelihood of a true null. 0.05 – 0.1 Very weak evidence that the null hypothesis does not hold. P-values deal with only and only a question of how likely you data is to be, with the assumption of a true null hypothesis (independence)? It does not, I repeat, it DOES NOT measure support for the alternative hypothesis (i.e. 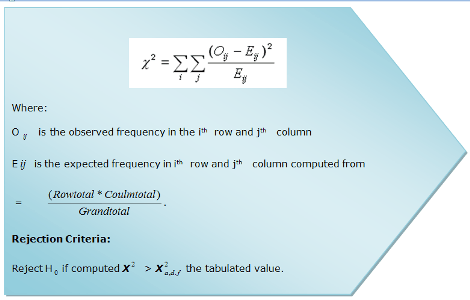 dependence) neither does it measure the level of statistical significances-Why? Answers to this and more will be discussed further in the next edition. Therefore due to this limitation, we’ll be covering the very common misinterpretation of P-Values in our forthcoming edition.